Yes, the first book in our new series, Captain Philip Strange: Strange War is here and just in time for the 80th Anniversary of the publication of his first appearance in Flying Aces Magazine in August of 1931! We were at the PulpFest in Columbus, Ohio this weekend premiering our new book. Strange War has six exciting stories of “the Phantom Ace of G-2″ with an introduction by Sid Bradd and all beautifully wrapped up in an exciting new design by Chria Kalb. Keyhoe’s Brain-Devil takes on all manner of pterodactyls, flaming fire balls raining down from the sky and demon aces with the help of Tom and Noisy Jay—the twin aces of G-2 affectionately known as the Jay Birds. Something Strange is Almost Here! Age of Aces will be at Pulpfest in Columbus next week where we will be unveiling our latest exciting book—Captain Philip Strange: Strange War by Donald E. Keyhoe. In Donald E. Keyhoe’s imaginings, the stormy skies of World War I are filled with giant pterodactyls, mystic fireballs and demon aces. 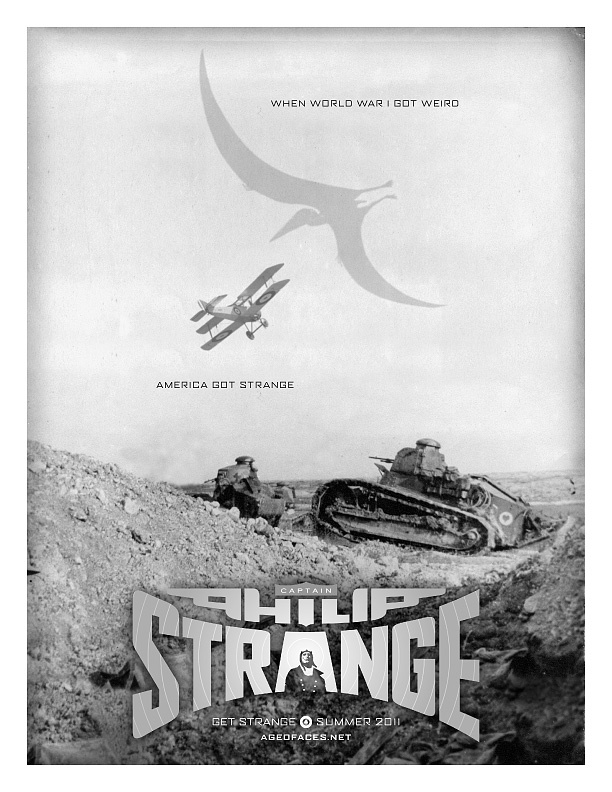 But America has it’s own unnatural secret weapon: Captain Philip Strange. A mental marvel from birth, he was so terrifyingly effective that the Allies referred to him as “The Phantom Ace of G-2.” But to the Germans he was “The Brain-Devil,” whose penetrating green eyes were both a legend and a nightmare. Keyhoe’s Philip Strange stories ran for nine years—from 1931 through 1939—in the pages of Flying Aces magazine. This first volume in our new series contains six exciting tales of terror skies! It also features an introduction by Sid Bradd and is beautifully wrapped up in an exciting new design by Chris Kalb! So stop by our table and meet the crew and check it out or pick up any of our other titles at special Pulpfest discounts. If you can’t make it—keep your eyes on ageofaces.net to find out more about our new book. In the late thirties Flying Aces ran Alden McWilliams’ monthly illustrated tribute to the pioneer fliers of the early days of aviation which was called They Had What it Takes. In the August 1939 issue they featured American Air Ship Ace Charles E. Rosendahl! Rosendahl started his Naval career aboard battleships and moved into rigid airship duty after the Navy’s Bureau of Navigation circulated a letter asking for volunteers. 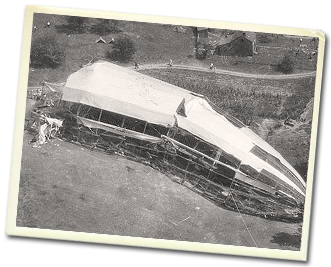 He distinguished himself by successfully bringing the bow section of the the dirigible Shenandoah after she broke apart in the air! He rose through the ranks serving aboard a number of lighter-than-air craft. 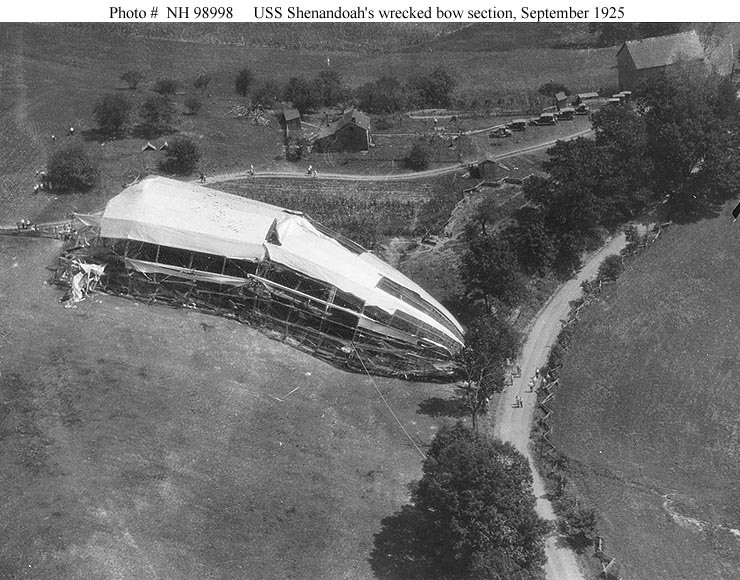 Eventually achieving the rank of Vice Admiral in the US Navy, Rosendahl never stopped advocating the virtues of lighter-than-air flight writing several books about them (his papers are archived in the McDermott Library at The University of Texas at Dallas) and was aboard the N class blimp ZPG-3W on its final flight in August 1962 when the US Navy ended airship operations. Rosendahl passed away in May 1977. “The Spad was at two thousand feet when he became aware of a queer sensation. It was a feeling that he was not alone in those dark heavens. He jerked about in his cockpit. Something moved in the shadows above him, moved with an odd rushing sound like the beating of giant wings—a blurred something from the shadows hurtled steeply down toward the French drome. A hideous screech burst upon the air, a screech which all but chilled the marrow in his bones. Age of Aces will be at Pulpfest in Columbus in two weeks where we will be unvailing our latest exciting book! So stop by our table and meet the crew and check it out or pick up any of our other titles. If you can’t make it—keep your eyes on this space and check back to find out more about our new book.